Bernie and an 11-pound walleye. My name is Bernie Hildebrand and I live in Miles City, Montana. Miles City is approximately 110 miles south of Fort Peck Reservoir — but you could call Hell Creek, on the shores of Fort Peck, my second home. That’s where I like to fish. 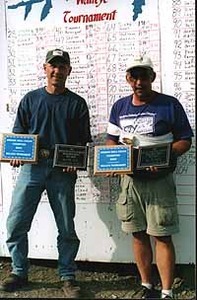 I grew up in northeastern Iowa and started fishing when I was about six years old. I have been fishing ever since. I fished the small streams of northeastern Iowa for channel catfish and smallmouth bass while trips to the Mississippi River were for crappie, bluegill and walleye. Annually, I made a trip with my father and grandfather to northcentral Minnesota to fish for walleyes and northern pike. While in college at Montana State University in Bozeman, I fished for rainbow, brown, brook and cuttroat trout. As you can see, a guy’s got to fish for whatever species is available. I liked them all. I moved to Jordan, Montana, in 1980 and started fishing Fort Peck Reservoir the same year. 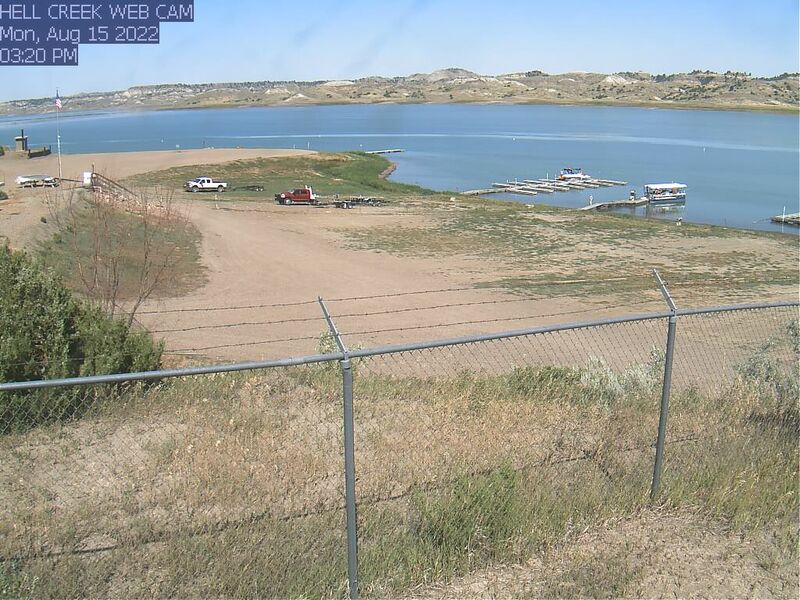 Fishing Fort Peck was a great new challenge in two ways: One, simply finding the different trails and areas to the reservoir was difficult and two, there were new species of fish I had never fished for before. Some of the new species to me were lake trout, Chinook salmon, paddlefish, sturgeon, burbot (ling) bigmouth and smallmouth buffalo. However, there were several species of fish that I was quite familiar with like walleyes, northern pike, sauger, channel catfish, perch, crappie, drum and smallmouth bass. I started fishing these species from shore, tagging along on a boat trip with a friend whenever I could. Finally, I bought my first boat in 1989. Other boats have followed. 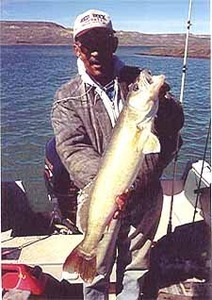 In 1995, I started guiding on Fort Peck Reservoir and have been guiding ever since.